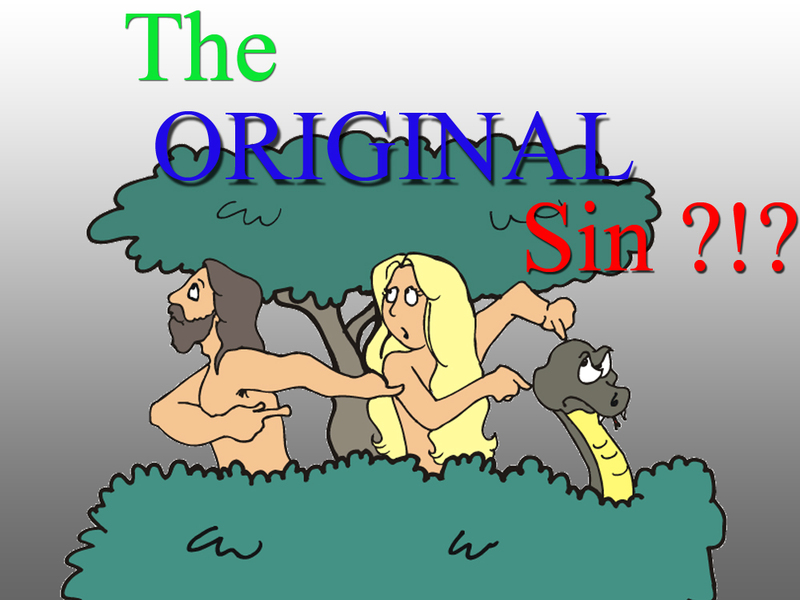 The ORIGINAL Sin?!? Part 1 in a series . . .
Is it something you rationalize (make the unreasonable sound reasonable)? What if we look up “sin + definition” online at sites such as Webster and dictionary.com. What do we find? transgression of divine law: the sin of Adam. any act regarded as such a transgression, especially a willful or deliberate violation of some religious or moral principle. any reprehensible or regrettable action, behavior, lapse, etc. ; great fault or offense: It’s a sin to waste time. a. Deliberate disobedience to the known will of God. b. A condition of estrangement from God resulting from such disobedience. This is what the world says sin is. Is it accurate? Can it be analyzed (as in quantitative or qualitative)? What is immoral? What is transgression? What is violation? How are they determined? WHO determines? Will each person determine the same way? How is the bar set? In other words, could you from the above definitions ALONE make an ACCURATE statement regarding what sin is and what sin is not that would be supported by the text? I suppose you could PROVIDED that you KNEW the law and KNEW the will of God, however, my question was from just the above definitions ALONE. The definitions do not state what the will of God, or moral law, or religious law, or moral principles are. To truly understand what sin is, we have to go to the text. We have to see how it was used – what context it was used in and why. You see the above definitions may have some truth in them, but they are NOT the WHOLE truth. For the whole truth, we have to search the text . . . Some might (and some do) say that sin is really more of a curse handed down from generation to generation because of a single man and a single woman and that curse became their own sin. Quite a difference, huh? What caused this difference? What caused this fear? What caused this sudden shame that they now felt? and put him in the garden of ‘Eden to cultivate and care for it. 17 except the tree of the knowledge of good and evil. than any wild animal which Adonai, God, had made. she took some of its fruit and ate. She also gave some to her husband, who was with her; and he ate. This was the first sin . . . the original sin, right? Eating the fruit that she admitted that she was told she was NOT to EAT or to TOUCH – willfully disobeying God. I am going to challenge tradition and say that it was NOT the original sin! I realize that for some of you, your defenses just went up regarding that statement on original sin. You are ready to stop reading right now. If you can drop your defenses for just a bit, you are going to see a truth that you will NOT be able to ignore – I promise! The original sin was NOT a single act of eating the fruit and disobeying God’s command not to eat from the tree of knowledge of good and evil . . .
it was the LACK OF TRUST in the God that gave the command! Before she broke the command(s) to NOT eat and NOT touch, she rationalized! Remember the (3) rationalizations from above? What was she rationalizing? You have to look deeper than just on the surface! She was building a case – excuses – rationalizations for disobeying God. A lack of trust that was rationalized by the woman and accepted by the man! I am going to let that sink in for a minute . . .
she chose to trust in someone or something OTHER than God! She chose to trust the serpent’s LIE over God’s TRUTH! We know that disobeying His commands are a sin. Is lack of trust in Adonai not also sin? Is not trusting that His word(s) is and are true not a sin as well? it is usually in contradistinction to the word of God. LACK OF TRUST! – Trusting the serpent’s word over God’s word! The woman chooses to believe the serpent – she chooses to believe that God is a liar! She does this by making (3) rationalizations to support her rejection of God’s commands. What was the enticement that was worth rejecting God’s Truth and embracing the serpent’s lie? What was the enticement that resulted in the need to make (3) rationalizations? What was the enticement that resulted in a lack of trust? Remember what the text says? False teachers are no different than the serpent! They teach that God is a liar! They teach that His word is corrupt! They teach that THEY have the truth! They defile and destroy people’s trust in the one true God!!! The following is going to be hard for more than a few of you. These are popular teachers and preachers. In fact, they are some of the most popular teachers and preachers in the world. The following clips teach that you are made in God’s image and therefore a “little god” . . . There are so many more. What do they all have in common? They are word of faith teachers – prosperity gospel teachers . . .
You see, when you defend a man-made doctrine instead of the text that refutes it . . .
when you defend a heresy committed by a teacher or preacher against the very text itself . . . When you rationalize that what they have done and what they have said is okay or even preferable . 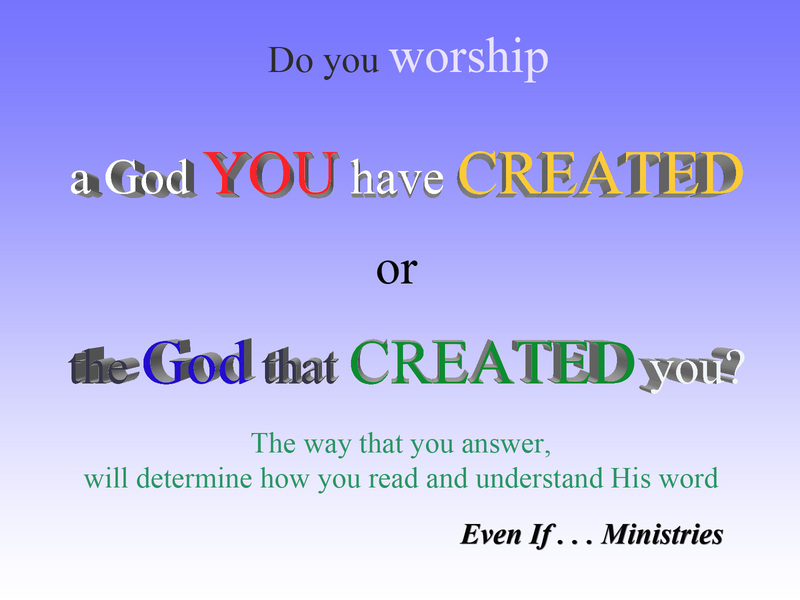 . .
then you truly worship and God YOU have created and not the GOD that created you. You have chose to trust in something that is not trustworthy . . .
You have chosen to believe the serpent and call God a liar! We were warned that this would happen. It was not a “might” happen. It was a “will” happen. who say whatever their ears itch to hear. but will turn aside to follow myths. I see this every single day. With those I work with. Those I worship with. Friends. Family. Bloggers. Facebook. Newspapers. Emails. Private messages. Phone calls. Pastors. Rabbis. Teachers. Religions . . .
Are you going to accept His commands or reject His commands? Are you going to cater to your passions or listen to His truth? Are you going to believe the serpent or the one that created the serpent? Are you going to rationalize? Are you bold enough to call God a liar? This entry was posted in False Teachers and False Teaching and tagged Adonai, false teachers, God, Justin Peters, lack of trust, liar, rationalization, serpent, sin, trust. Bookmark the permalink. 6 Responses to The ORIGINAL Sin?!? Part 1 in a series . . . Thank you for posting this. Every single thing is so important and vital in our relationship with our Creator and Savior. He is awesome, isn’t he? We serve an amazing God! Powerful teaching and overwhelming evidence. This is great.